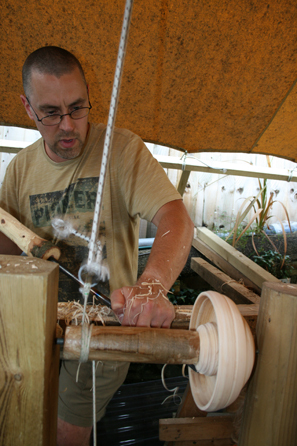 I use a modern version of the ancient spring pole lathe to turn my wooden bowls. The best results are achieved using greenwood left to mature for a few months. Eating with a wooden spoon is an extremely pleasant experience, and cooking with a hand-crafted cooking spoon which has been designed with years of use and carving experience is totally different to supermarket utensils. 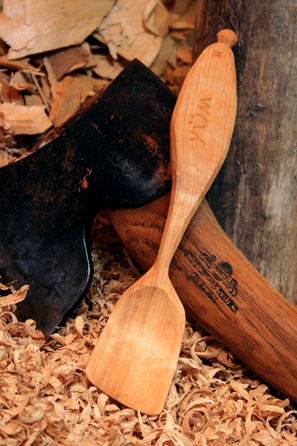 Learning to carve greenwood can turn into a lifelong hobby, so give it a try. 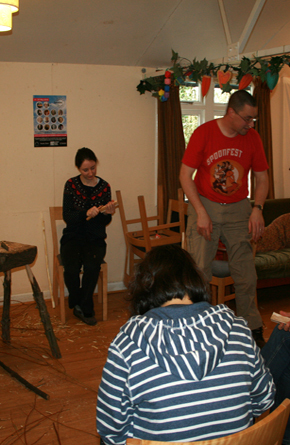 I teach a 2 day spooncarving course at Lower Shaw Farm in Swindon annually and am available for personal tuition in Bideford, North Devon. I also attend craft fairs demonstrating my craft and selling the products. Copyright 2016 © avnicholson. All Rights Reserved.